1. My hubby loved these new King's Camo collection glasses from Oakley. He says that the color of the lens combined with the polarization makes the perfect combo to see anything! He couldn't wait for Christmas and had to get a pair about a month ago and hasn't stopped raving about them. He was recently checking out one of our ponds with a group of guys and as he pointed out a fish to the other guys, he quickly realized that he was the only one that could see the fish and it was all thanks to his sunglasses. He passed his specs around to the boys (mostly to prove he wasn't halucinating) and one by one they oooh'd and ahhh'd over the visibility these babies offered. 2. For the man that can't stay off the court and loves calling the guys over for a few games of B-Ball, this is a really cool gift. Named on Time Magazines "Top 25 Inventions of the Year" this bad boy is like a fit-bit, for your ball. The "smart sensor" in the ball tracks shot accuracy, arc, spin, etc. All the info is synced to your Apple or Android phone and the app even provides workouts and score tracking for up to 5 players. If the man (or boy) in your life is always wanting to get better at the sport he loves, this is a fantastic gift for him! 4. Let me just say that Apple TV is one of my favorite things ever. This is one of those gifts that pulls double-duty as a gift for yourself. Hook it up to your TV with an HDMI cable, log in to your home's wifi and you're ready to rock. You can play your ITunes music through it, buy and rent movies on Itunes, use Netflix or Hulu Plus, run a slide show of your pictures on the TV and a multitude of other things. All of this is great but my favorite feature is that you can get the "Remote" app on your Iphone or Ipad and run it from those devices. For me and my hubby, this is a lifesaver as our remotes like to play hide and seek more often than I'd like to admit! 5. This is most certainly a "splurge" item but when my hubby first saw this little rifle, he was so excited to try it out. It is a little quick assembly .22 rifle that breaks down and fits into a back pack (that is included in the purchase). 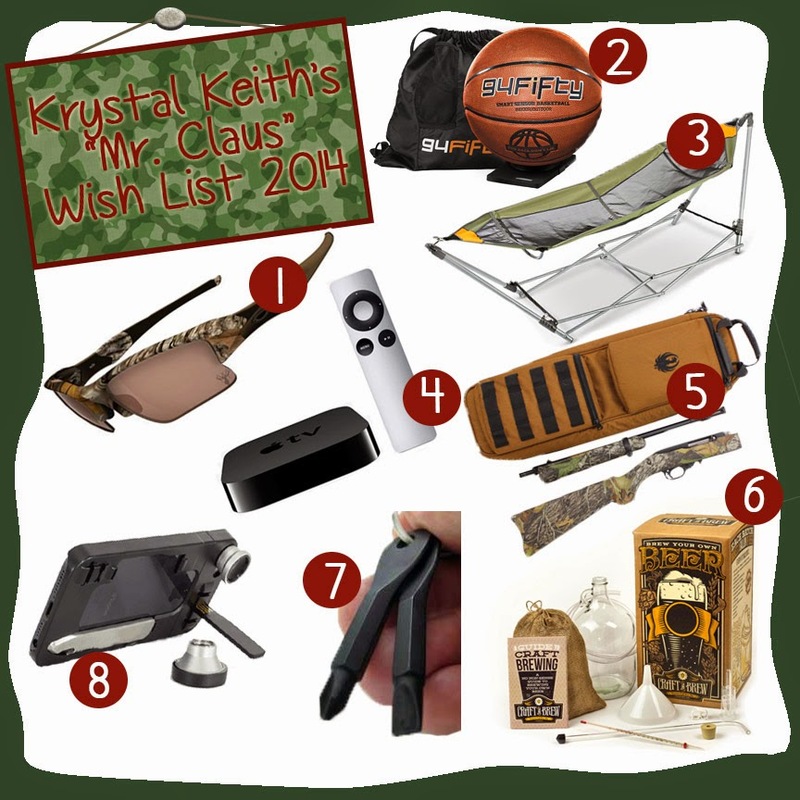 It is perfect for when he is roaming our family hunting ranch and comes across a squirrel (aka lunch) or just wants to play around shooting targets and cans. Most of the men I know started out shooting a .22 rifle and still love to fire them off for recreation from time to time. 6. My husband is a bit of a beer connoisseur, in fact, most of the men I know are. I know that mine would be tickled pink, ok maybe not pink but at the very least tickled blue, to get a kit like this "Craft-A-Brew" kit that would give him all he needs to brew his own beer. Once he got the hang of it with the kit he could buy the ingredients to try different recipes for small batch creations. There is a local store that sells all the ingredients and offers classes that would be a great extra with this gift too! 8. I got really excited about this multi-function phone case. It is like a Swiss Army Knife on the back of your phone. It comes with a USB stick that doubles as a kickstand in portrait or landscape position, 3 camera lenses, the fish-eye, macro and wide shot, a multi-tool that can be used as a flat-head screwdriver, serrated or standard knife and a bottle opener, and finally, it has a built in clip for your headphones so that you can wrap them around the phone when they aren't in use and they'll stay put. This case comes in at just 3mm and is a bargain for the asking price. I was also pumped that this was an idea that was crowd-funded on IndieGoGo.com because the idea of crowd-funding is quickly becoming a favorite passtime of mine. 1. I love these Dogeared necklaces! They are the perfect gift to express an emotion, a personality trait or a dream with their "I Am Strong", "Bestfriend", and "One In A Million". They also capture life's best little moment's with their "Bride" and "100 Good Wishes" Collections. 2. You can never have too many canvas totes! These cute little expression totes are perfect for a trip to the grocery store or the farmers market, a picnic in the park or a day at the beach. 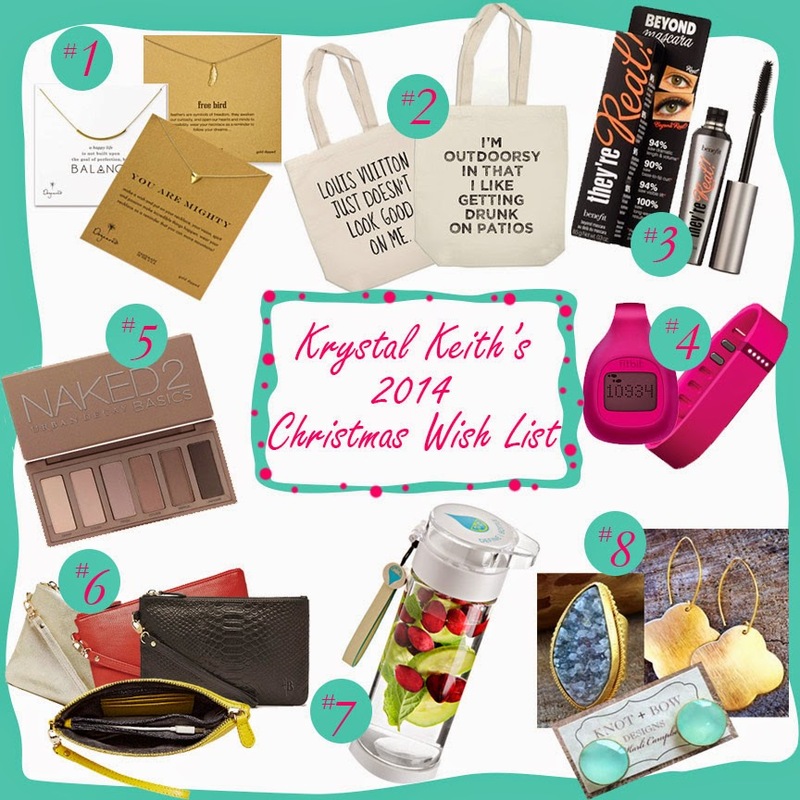 These are cute, inexpensive gifts that every girl loves to get and will be used over and over again for all sorts of little trips and adventures. 3. Forget Visa, I never leave home without this mascara! I literally have one in my purse, one in my car, 2 or 3 in my bathroom vanity. I have never recommended a product more highly than I recommend this mascara! It doesn't clump, it's thin enough that it goes on and lengthens for a natural look but builds into long, thick, red carpet lashes. 4. The most festive time of the year is always followed by renewed faith in the good things that are to come in the new year. For many women, that faith includes a resolution to hit the gym more, be more active, or eat right. The fit bit is an excellent way to be accountable. You can invite and join other friends to keep each other on track. You can challenge a spouse, friend or family member to see who has the most activity by the end of each week and see the progress each of you are making. A husband could join in on the fun by springing for the 2-pack they offer so that he can track his own progress. Think, winner gets to pick the date-night movie or receives a healthy breakfast in bed. 5. As a licensed Cosmetologist, I'm picky when it comes to my hair and make-up products. This is the perfect eye-shadow palette for almost all women day to night and coming from me, that says a lot. It has a good spectrum of neutrals and is petite in size so it is easy to throw in a purse and doesn't take up much space when packing for a short trip. I even use it for highlighting and contouring when I'm in a pinch. All of Urban Decay's Naked palettes are pretty amazing and I highly recommend them all but this if I could only choose one, I'd take this one because of it's size and versatility. 6. I was browsing through one of my favorite Nashville boutiques when I came across these precious little wristlet purses. When I found out that they also pull double-duty as a phone charger I almost did a back-flip (but I didn't....mostly because I haven't been able to do or attempted a back flip since I was 8). I am forever charging my phone. Like most of us, I can't live without my smart phone because it is my portable office and has all of my photos, emails and for all I know, inner-most thoughts on it. I have been through at least 10 battery phone cases. Each one used until I inevitably drop and shatter it. I also rarely carry a large purse for quick errands, I opt for a small wallet or wristlet and this one is perfect. My phone can charge while it is sitting in my purse, as I run around living life! 7. For the healthy water-drinker in your life, what better gift than a water bottle that encourages fruit infusion, and filters out the bits of pulp for you? I was super excited when I saw the Define Bottles. They come in all different styles and sizes but my favorite is the Lite. It is perfect sized and has a filter screen built right into the cap. 8. I stumbled across Knot + Bow a few months ago when I was shopping for a few necklaces and fell in love with their stuff. I couldn't stop adding pieces to my cart and before I knew it....I was justifying the need for all of the extra bracelets, earrings and rings I threw in. Each of their collections offered on the site right now are perfectly on trend. I am seeing arrowheads and crystals left and right in all my favorite stores. I love the earthy, hippie feel of some of their pieces but the versatility to wear them with anything. They are also super affordable for the quality of pieces you're getting. 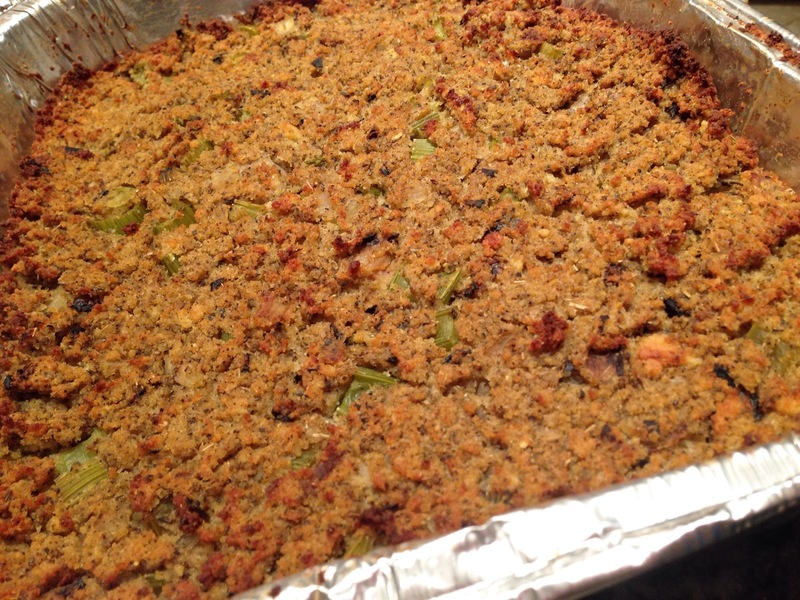 We all know that Green Bean Casserole is a classic dish for a Thanksgiving feast. Our mothers and grandmothers have been making it from the back of a Campbell’s Soup can for years and years. 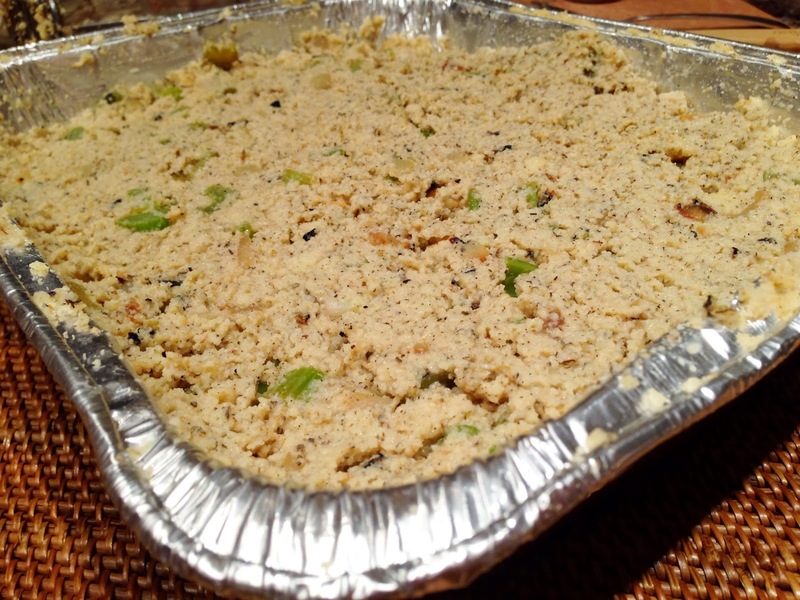 It is one of the dishes I most look forward to because it brings back so many sweet memories. Being someone who loves to cook, I hate pouring things out of cans that I can just as easily make myself, so I like to take those old-school favorites and put a little homemade spin on them. In this recipe, I make my own cream of chicken instead of using the canned version. 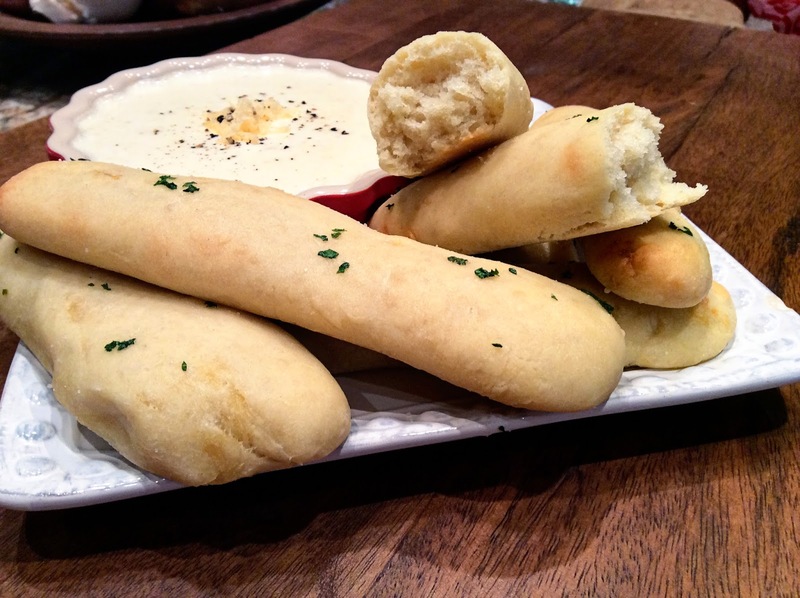 Everything is better homemade, and you can taste the difference. I hope you and your family have a wonderful Thanksgiving and we all take a minute to make a mental note of all that we are thankful for this year. Enjoy! I have missed you guys so much!!! This year, being the opening act for the Shut Up and Hold On tour took me all across the country but it didn't take me into many kitchens.... Although, I have been having a blast. If you follow me on Instagram, Twitter or Facebook, you have seen my travels and adventures! I've had very little time at home between the shows, recording new music in the studio and the BMI and CMA award shows, life has been amazingly busy. Thanksgiving is just around the corner and I wanted to bring back one of my all-time favorite traditions to share with you. My Grannie's Thanksgiving stuffing is the absolute best. 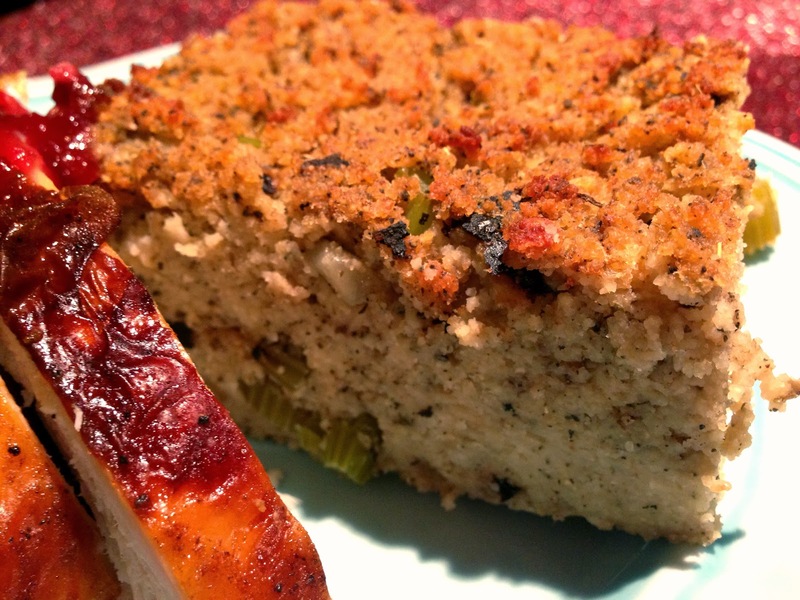 Tons of sage and veggies mixed with buttery cornbread and baked to a perfectly moist stuffing with crisp edges. Each year, it is the one dish that my sister and I enjoy making with my Grannie, which always brings back years and years of memories. I don't know how your big feast works but our Thanksgiving feast is LARGE MARGE style. We gather 20-30 people and there is more food than we could, or should be able to eat in a week, although somehow we always manage to polish it all off. Aside from my Grannie's famous stuffing, some of the other staples we have are my dad's turkey from our family's company Dream Walkin' Farms Premium Meats which never fails to rock our world, mom makes mashed potatoes, Grannie makes giblet gravy, my sister and I make roasted brussel sprouts and all the other family members bring the dish they are most famous for! We get fat, happy, watch football and play Moon (a domino game I've been playing my entire life). I would love to hear what your must-have staples are, leave me a comment at the bottom of this post! Have a Happy Turkey Day! Gobble Gobble! There’s something about peanut butter that reminds me of the holidays. Maybe it is the peanut butter cookies my mom and I used to make to leave for Santa, or my fondness for chocolate dipped peanut butter balls I devour at holiday parties. Whatever it is, I knew when I grew up I add to add something peanut butter flavored to my holiday menu. 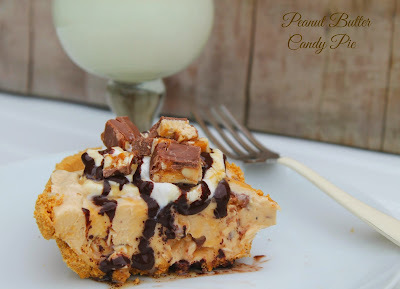 I found a peanut butter pie everyone loved, but it was so time consuming. Who has time for that during the holidays? I discovered this recipe a few years ago and quickly converted over. 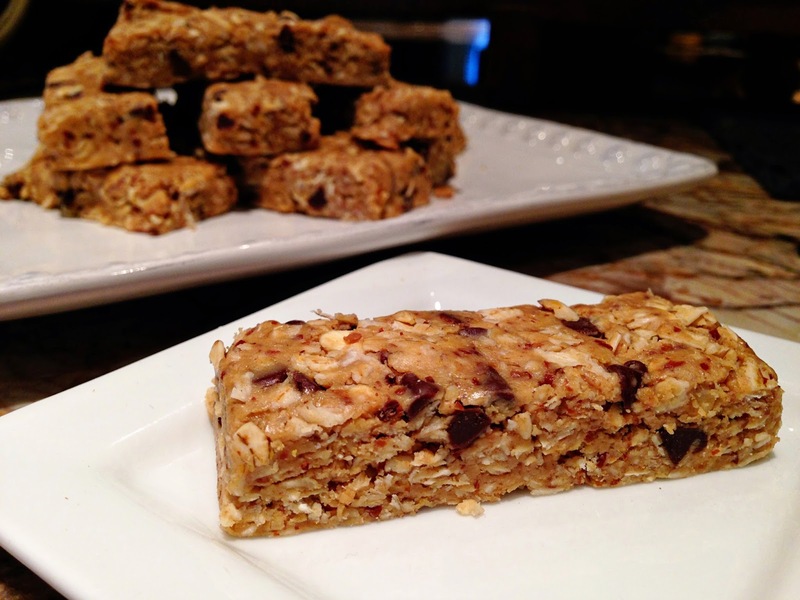 It comes together in minutes and has a surprise ingredient of candy bars. What’s not to love? I add a few extras on top to make people think I fussed. No one has to know how quickly it comes together. Before you start it is important to make sure the cream cheese and whipped topping is softened. I usually place the cream cheese in the microwave for 20 seconds or so and allow the whipped topping to sit in the fridge overnight. Mix the powdered sugar, cream cheese and peanut butter together until creamy. This pie has a mild peanut flavor. 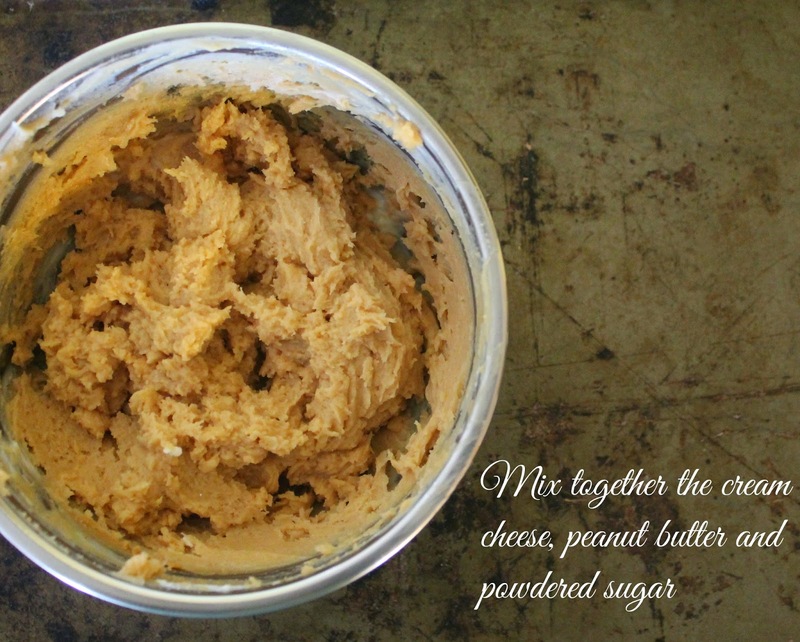 If you like a stronger peanut butter flavor, adjust the amount by adding another ½ cup. 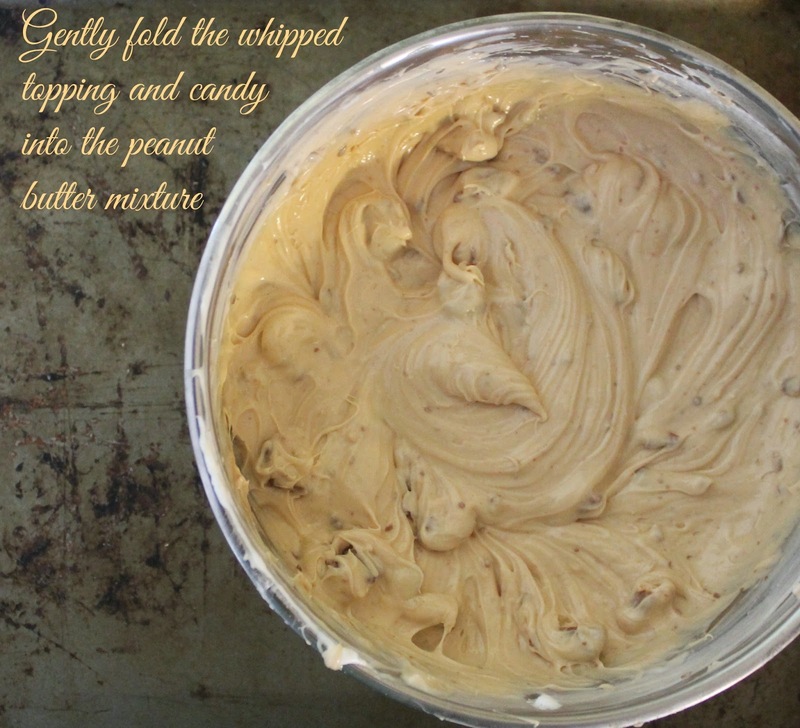 Fold the peanut butter mixture into the whipped topping and stir until completely blended. Gently stir in the candy bar chunks. Spoon the pie into a prepared graham cracker crust. Now comes the hardest part! The pie has to freeze at least two hours. Sometimes I leave it in overnight. To serve the pie, I add a drizzle of chocolate fudge topping and sprinkle with extra candy bars. 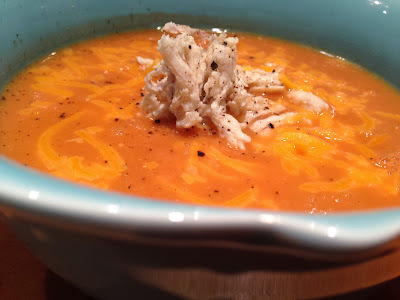 For more great recipes check out Simply Southern Mom's blog! We all look forward to the upcoming holiday season but dread the battle of the bulge that ensues! Each year, I like to dedicate the six weeks leading up to Thanksgiving (starting on Oct 1) back to my health to try to get ahead of the game! My goal is always to cut 8-10lbs before the season so that the few pounds I might gain at Thanksgiving and Christmas are already taken care of and becuase my body gets in the habit of shedding pounds...they tend to come off faster too! The bonus to this plan is that come January 1st....my resolution doesn't have to be "lose the 10lbs I just gained" because I planned ahead! 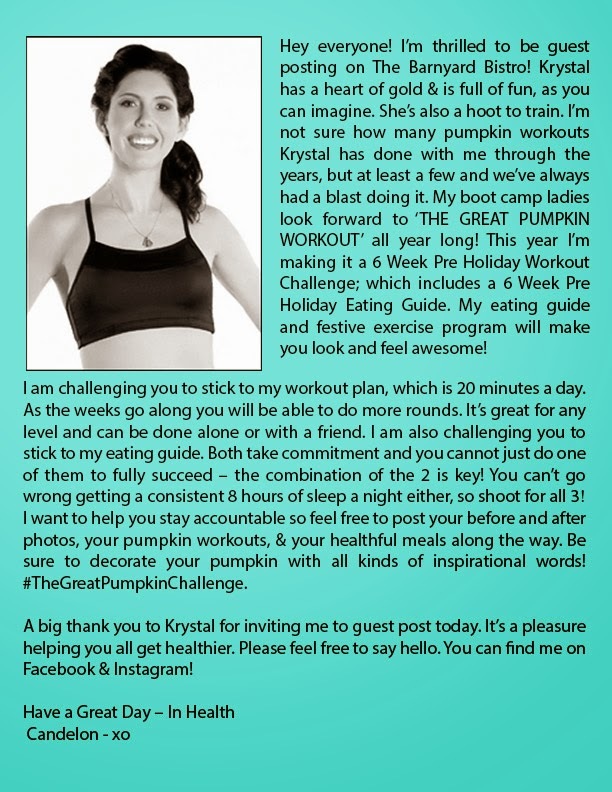 This year I wanted to share that challenge with you and I brought one of my favorite health and fitness gurus on board to help us kick-start this challenge. My dear friend, fitness trainer and all around healthy-lifestyle motivator, Candelon Joy Jones, is the owner of Sooner Adventure Boot Camp in Oklahoma. She’s a mom, Fitness Specialist, Nutrition Guru and Green Living Enthusiast - with a degree in Health & Physical Education. Candelon has taught boot camp for women of all ages and fitness levels, trained athletes, and coached lifestyle transformations throughout Oklahoma for almost 10 years. She is on a mission to show parents/adults and kids how to incorporate more healthful meals and exercise into their everyday routines. Stop by her facebook page to thank her for putting this plan together for us! You can right-click and save both her workout routine and eating guide for easy access or print it off for a pocket guide! You could also just keep coming back to The Barnyard Bistro and it'll be here for you to use as a reference throughout the year. Keep me posted on how it goes for you! Let's do this! Tackle Childhood Cancer with Chili's on September 22! Tackling Childhood Cancer is a cause near and dear to my heart. Tonight (Monday 9/22) Chili's will donate up to $100,000 of profits to St. Jude! Take the family out to Chili's tonight for a meal that makes a difference. Alright, now snap out of it so I can tell you how to make it. Pie is a Southern staple and this dish is like a mini free-form pie, so you don't even need a pie dish or fancy tart pan. You just need your hands! Oh...and all the ingredients. They are kinda important in getting the job done. 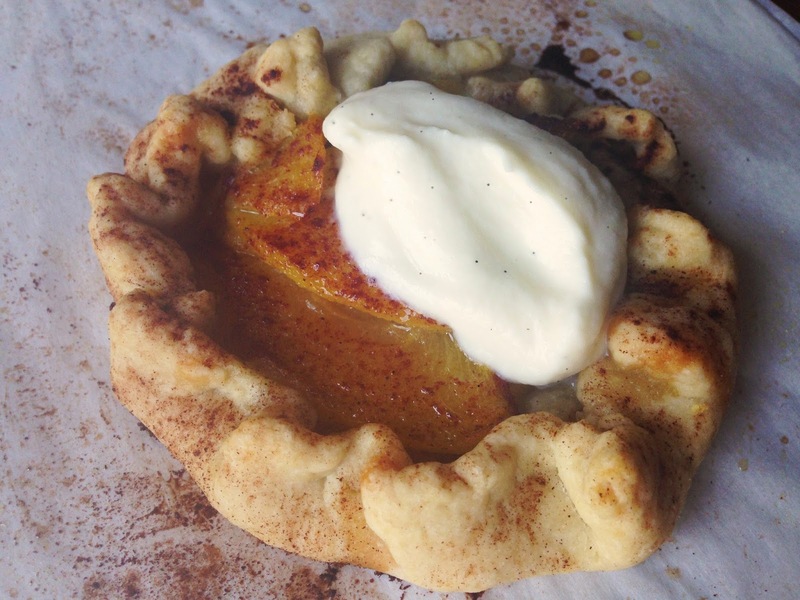 The peaches are not overly sweetened and the crust is perfectly golden and buttery AND the sweet marscapone cream is the icing on the cake...literally. As you can see I used half butter and half coconut oil in the crust and coconut oil is great for you so.... that would make this a healthy dessert right?! Don't tell your trainer I said that. (Oh and remind me sometime to tell you all the amazing ways you can use coconut oil - it is my MUST HAVE product for every room in the house). My ADD just kicked in....and we're back! You simply must try this dessert and it is stunning when finished so feel free to serve it at a fancy dinner party. You should have a fancy dinner party. Preheat oven to 350 degrees. In a food processor with a dough blade (or - heaven forbid you go the old-fashioned route and just use a bowl) combine the flour and sugar, mixing well. Add in the butter and coconut oil and let process for 5 seconds (or if your doin' it the "olden" way you will cut the butter and oil into the dough) You should have a soft crumbly texture. Add the water and process or kneed until the dough becomes smooth. Cut it into 8 equal peices and roll each peice into a ball. Place into a plastic bag in the fridge for at least 30 minutes. Remove 4 of the 8 peices leaving the other 4 in the refrigerator. Press the dough into a circular pie crust about 5-6 inches - keep in mind these are free-form pies that are made with your hands so they don't need to be perfect! Fill the center with peaches, leaving 3/4 of an inch around the edge. Fold the edges in however you want, you can see from my pics below that I did it a few different ways. My favorite was the "pinch and fold" method where I pinched points all the way around and then I would lay or "fold" the points over to one direction. Sprinkle the pies with Cinnamon. Repeat with the next 4 peices of dough ( I was just letting you get the hang of it with the first 4!) Bake all 8 pies for 20-25 minutes or until the edges start to brown. 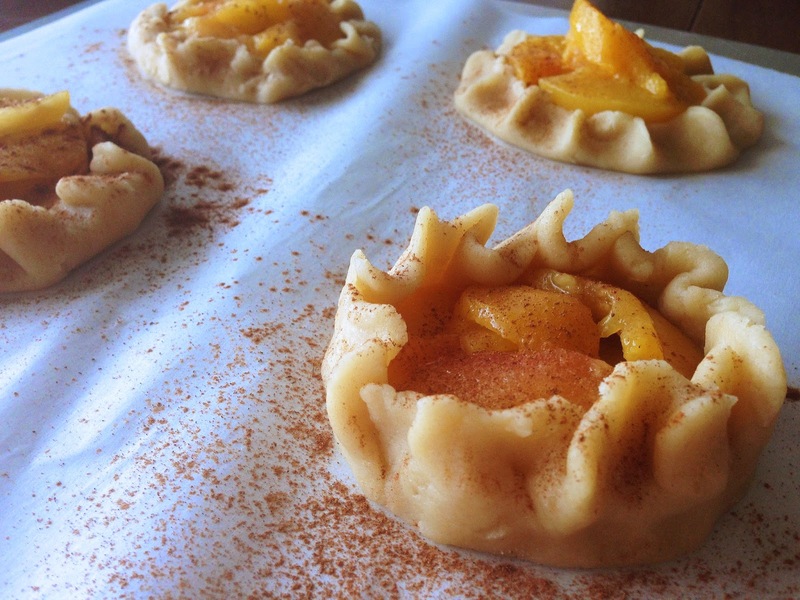 Drizzle honey over the peaches on each pie about 5 minutes before they are done. 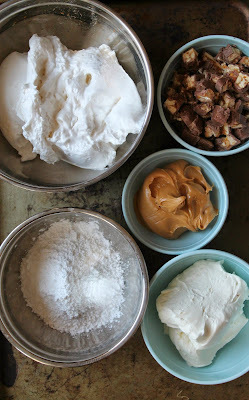 While the pies are baking, mix the ingredients for the cream. When pies are done, allow them to cool for 10 minutes. Top each pie with a dallop of the marscapone cream and serve them up! I'm excited to share a guest recipe with y'all today! It's always fun to run into a fellow country singin' chick that loves cooking as much as I do and if you know Jessie James Decker, you know the girl loves to cook (and she loves her Tony's seasoning blend too!). I asked her to share a recipe with y'all in honor of the release of her EP Comin' Home which you can check out by clicking HERE. This is a down-home country girl after my own heart. She sings, she writes, she shares her beauty tips and tricks, she is absolutely stunning, AND she cooks. 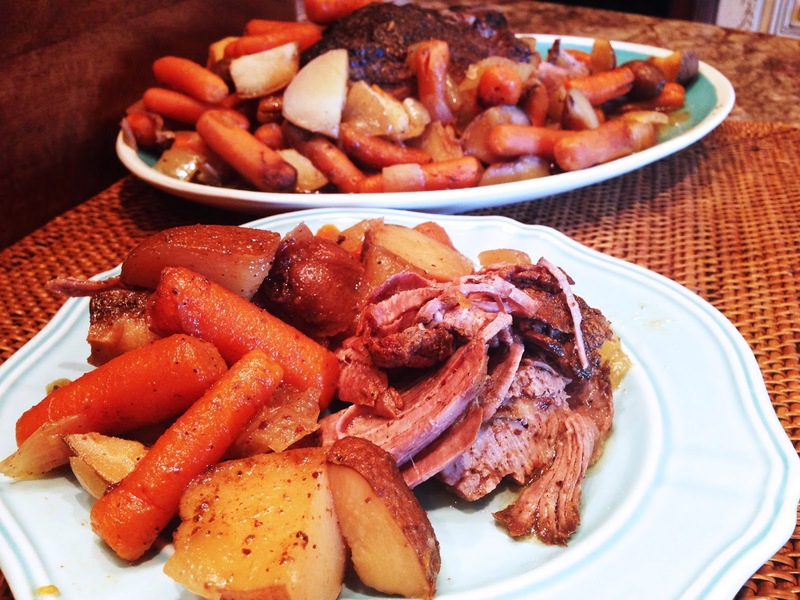 Jessie told me that "this is an easy roast but so delicious and filling! 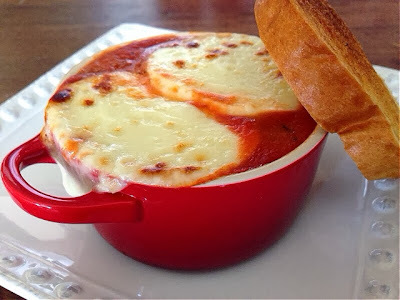 I make this in the winter on a cold day and it warms everyone's tummies!!!" After my own taste-testing, and my hubby's overwhelming approval too, we have to agree. This is one recipe you're gonna want to keep on hand for a perfect country comfort-food night. Season the roast with salt, pepper and Tony's as desired. Drizzle some oil in a skillet over med-high heat. Sear the pot roast on both sides. Cut up an onion and put it at the bottom of your crock pot. Place your seared roast on top of the onions. Cut up your potatoes and throw that on top along with the bag of baby carrots. Add salt, pepper and Tony's on top of everything to your liking. Add the cup of water. Throw the top on your crock pot and cook on high for 6 hours (or low for 10 hours). 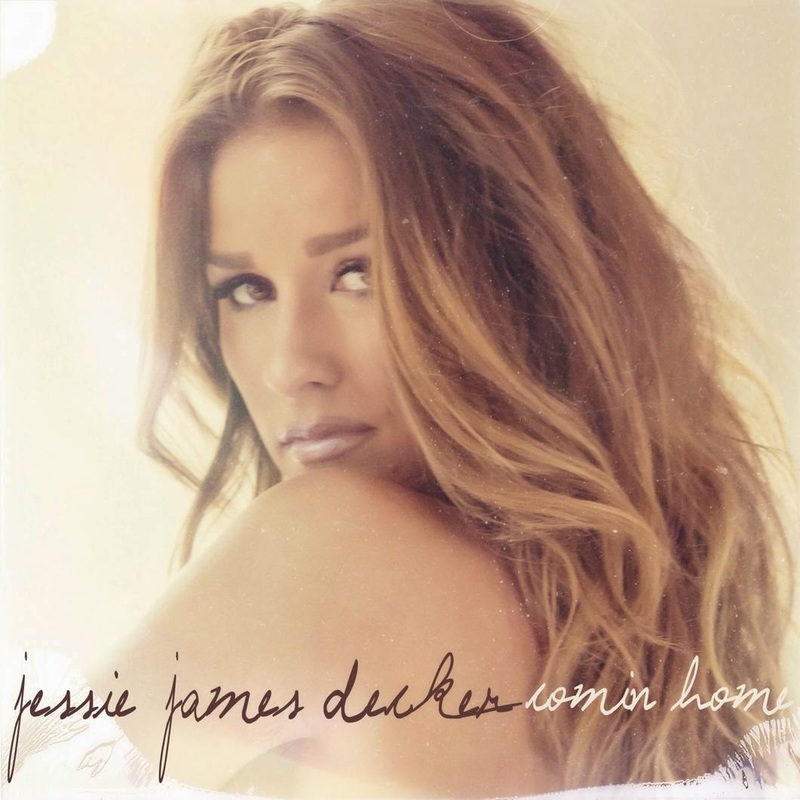 And as Jessie says, "Serve with some warm rolls, white rice and a smile : )"
Don't forget to go check out Jessie's new EP Comin' Home and let her know how much you love her music AND her recipe! Hey Y'all!! I know I have been completely AWOL on here lately but I assure you, I have a great reason! If you follow me on Instagram, Facebook or Twiiter you know that my band and I have been touring as the opening act for my dad, Toby Keith's, Shut Up & Hold On tour (also with Colt Ford)! We have been rocking out all over the country having a blast but to be honest, a tour bus just doesn't offer the same luxuries as my kitchen when it comes to offering up fresh recipes to share with y'all! I'm home for a few days so I wanted to make sure y'all know that I still care...and get a new recipe up for you to try while I'm out for the next few weeks. I hope you've been enjoying all of the GAC posts that have been going up. I still have cravings for the Triple Berry Crisp! We only have a few weekends left on the tour but we would LOVE to see y'all if we are playing in your area. Click HERE to check out my tour schedule and sign up to win Tickets and Meet & Greets by clicking HERE! I am always looking for a healthy or healthier alternative to some of my fave comfort foods, especially since the yummy catering on the road is no friend to a girls waistline. 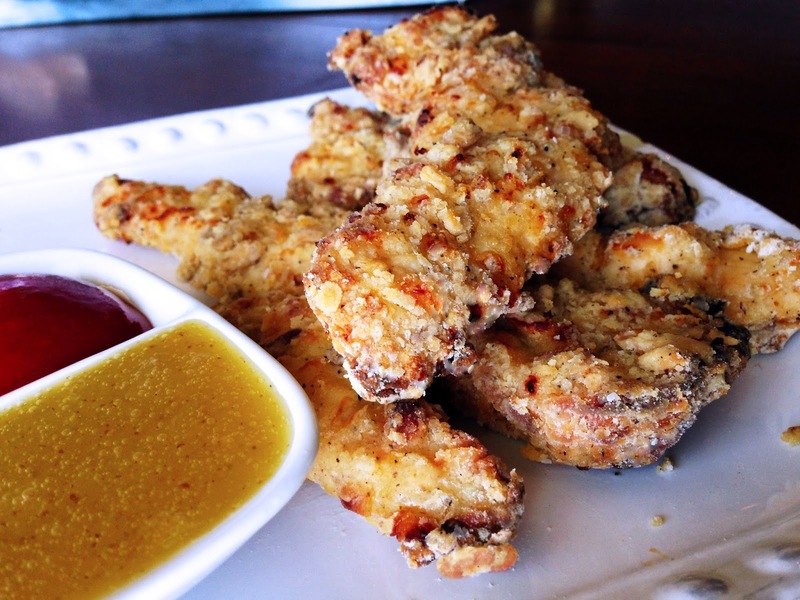 Tonight...I rocked my hubby's world with these faux-fried chicken strips. These are perfectly crisp on the outside, juicy and moist on the inside and bursting with flavor. In fact, my baby brother still claims after 9 years of eating them that I make the best baked chicken strips. And by "baby brother", I mean that he is 17 years old, stands at a wee 6ft 2inches tall and outweighs me by close to 100lbs. If they pass the test with him, I know you and yours will love them too! Use a mallet to pound out any chicken strips that are thicker than the rest. You want to start with tenders that are all about the same thickness to ensure even cooking time. 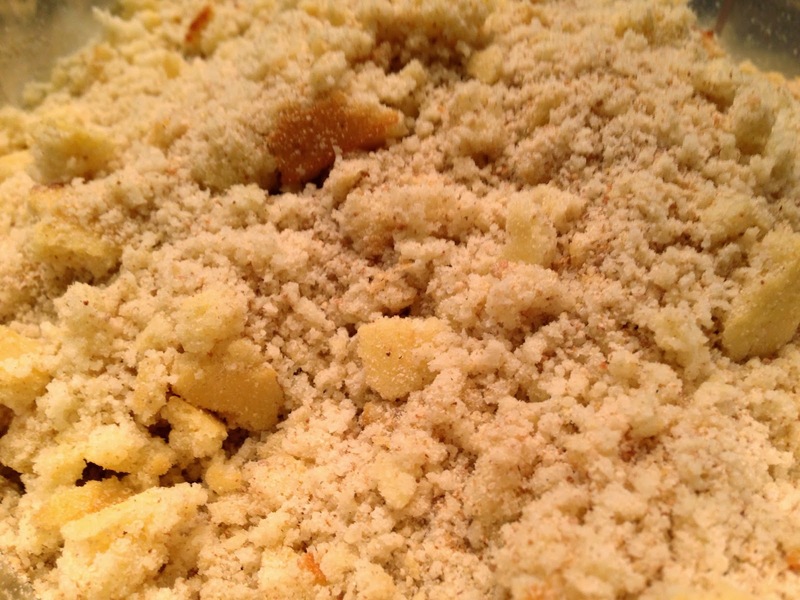 In one bowl combine: flour, panko, crushed crispy onions, 1 tsp salt, 1/2 tsp pepper and the granulated garlic; mix well. In a separate bowl combine: buttermilk, hot sauce, 1/2 tsp pepper and 1/2 tsp salt; mix well. Place all chicken strips in the buttermilk and let sit for 10 minutes to absorb some of the flavor. In the mean time, preheat your oven to 400 degrees and prepare a wire rack by spraying it with cooking spray and placing it on top of a baking sheet or use a "pyramid" baking mat (like this one from Bed Bath and Beyond) on a baking sheet. Both of these methods ensure that heat and hair circulate under your chicken and help it stay crispy. NOTE: If you like your chicken strips on the spicy side, you can double the hot sauce in the buttermilk and/or add a pinch of cayenne to the breading mixture. This is the salad my entire family goes crazy for. 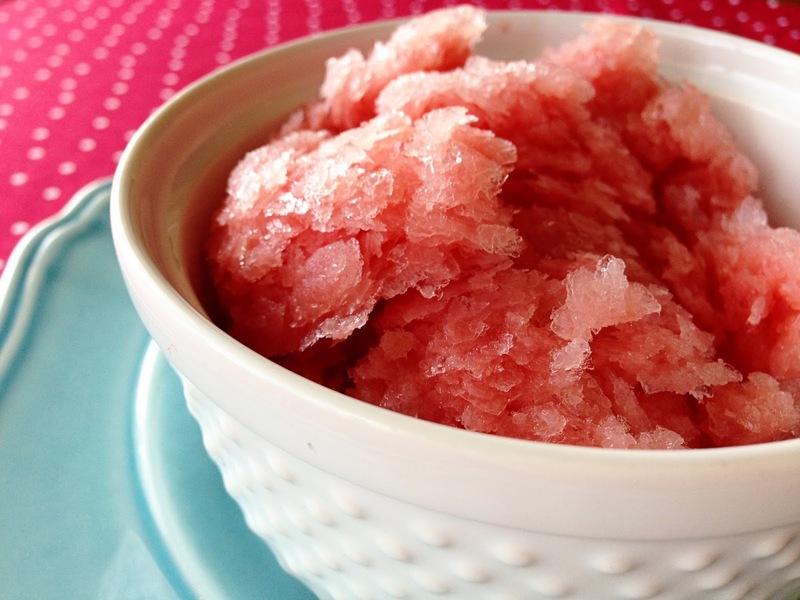 It is so refreshingly sweet and delicious, making it the perfect summer salad. We eat it at least once or twice a week. You can use it as a side salad or toss on some grilled chicken and make a meal out of it. I can’t get enough of the dark leafy baby spinach greens, the sweet strawberries or the tangy poppyseed vinaigrette. 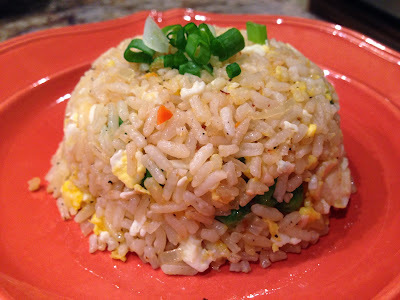 Click below to get the recipe exclusively on my Krystal Keith in the Kitchen blog series on GAC. One would be hard-pressed to find a bread creation better than the croissant. I will be forever grateful to the great Frenchman (or Frenchwoman) that discovered this light, buttery, flaky bun of heaven. I find these little gems at my local grocery store in the fresh baked breads department, and scoop ‘em up and start dreaming of the sandwich adventures I’m about to take them on. 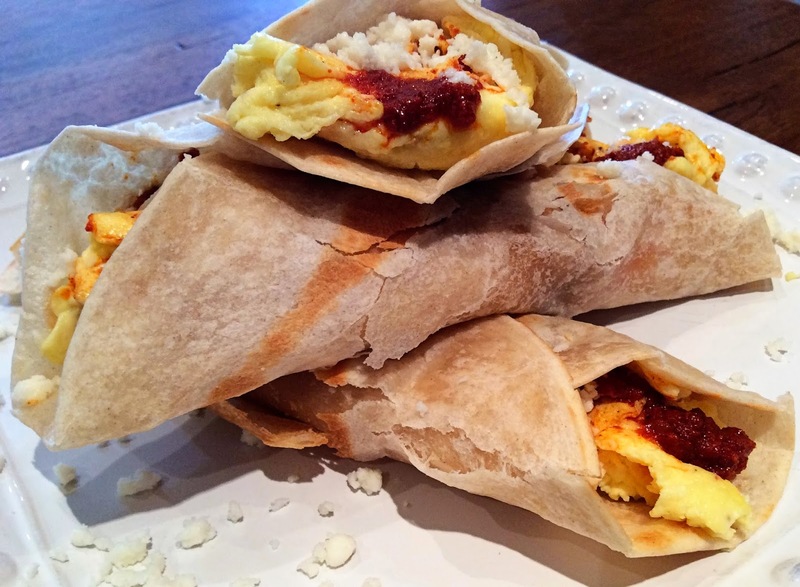 This is a great summer breakfast sandwich that is crisp, fresh and delicious! I love serving these on a lazy Sunday morning out on the patio with fresh squeezed orange juice and fresh fruit. One of the greatest gifts the supermarket has ever given me is frozen fruit. I love that regardless of the season I always have fresh fruit on hand to make yummy and only semi-naughty desserts to knock out my sweet-tooth cravings. 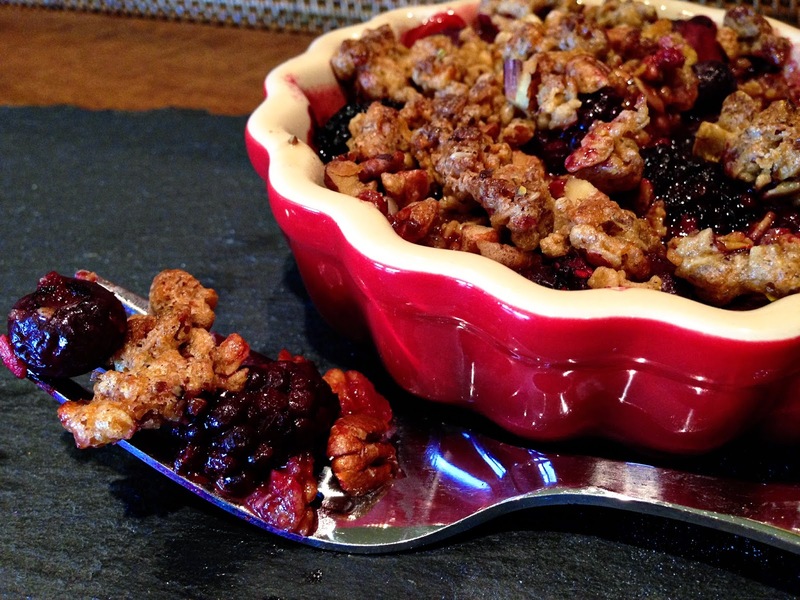 This Triple Berry Crisp is my go-to when I am only cooking for one or two and want something quick and easy. 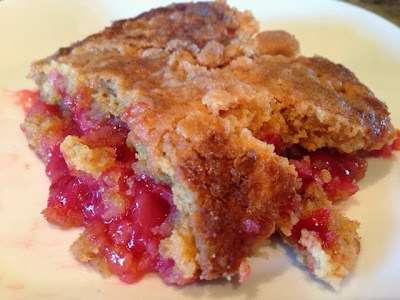 It is not overly sweet but it hits all the notes that a sweet-tooth craves while keeping the natural tart characteristics that I love from the berries. As you can guess I have been spending a lot of time in Nashville lately which means I get to try new restaurants and find inspiration! Nashville is quickly becoming a hub of food culture. With all the different districts(The Gulch, East Nashville, Germantown, etc.) and the identities within each district some really talented chefs have made their way into their niche market and are making their mark. One restaurant in particular I tried recently was the Eastland Cafe. Everything I had there was delicious but one bit of inspiration I walked away with? The idea of brussel hash. 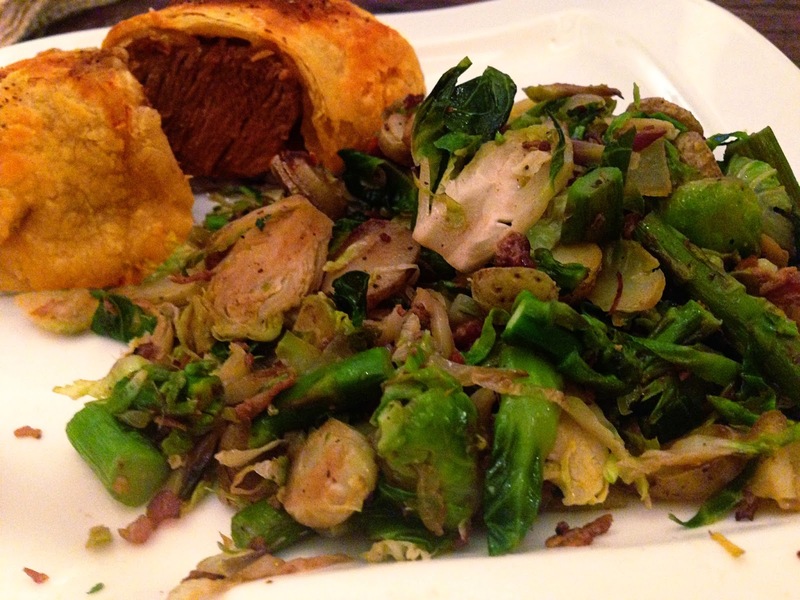 I was introduced to this incredible Charred Brussel Hash which featured brussel sprouts, asparagus and potato. What I loved about it is that potatoes were the featured ingredient in the side dish, the veggies were, which still allowed me to feel good about eating them all, which ofcourse I did. I tried my hardest to tell everyone at the table how awful they were so I didn't have to share. "Trust me...You don't want to try them, their just terrible...I hate to waste them so I'll just MAKE myself" Just kidding, I'm a good food-sharer and if you don't think you'll like something I want to share...I'm a great force-feeder! I come by it honestly. Saute onion, garlic and potatoes over medium-high heat for 3-5 minutes. Add in brussel sprouts and asparagus, salt and pepper and toss. Let cook, stirring occassionally, for 7-8 minutes. Allow sprouts to char a bit before stirring and allowing to char again. Add water and let steam for 5 more minutes or until potatoes and brussel sprouts are cooked through. The brussel sprouts should be tender but should remain bright green - aside from the charred bits ofcourse! 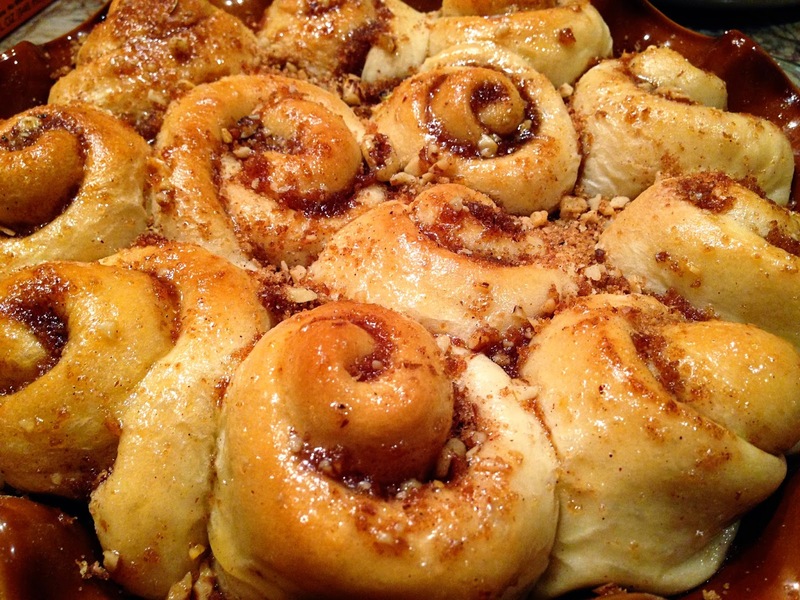 I made these as a side dish for Beef Wellington when I made dinner for my friend Sloane from Sweat and Sequins and her husband Invisible Dave - You might remember his name from my Simple Cinnamon Roll post. They loved them as much as I knew they would! Whew! If you have been following my Instagram, Twitter and Facebook you'll notice that life has been quite busy. I haven't been home in two weeks and as you can imagine it's not easy to cook on the road when all you have access to in your down time is clif bars, almonds, bottled water and beer! I feel like a slacker on here while the rest of my life has been a whirlwind of work and productivity! I have so many amazing and exciting things coming up and I can't wait to share them with you. We kicked off the Shut Up and Hold On tour where me and the band are on as the opening act for the one and only Toby Keith as well as Colt Ford. We have been designing merchandise, rehearsing, traveling and preparing and we finally got to step out on stage for the first weekend in California and it was an absolute BLAST! Check out our tour schedule and plan on making a show and hangin' out with us! We also just wrapped up the CMT Awards (see pic below) and CMA Fest where I had 3 performances! I walked the Red Carpet this year! Speaking of CMA Fest...If you have been hanging out in the barnyard from day one, you may remember that my first post (Baked Crab Cakes) was during CMA Fest 2013, which would make this past week, the official One Year Anniversary of The Barnyard Bistro. Sharing with you guys on here has been one of the most rewarding experiences I can think of. Everywhere I go and every interview I do, I am asked about the blog and hear stories of happy husbands and delicious adventures. I thought in honor of the anniversary, I would take a look back at the recipes that you guys used the most! I hope you learned about some recipes you missed, or got reminded of a few favorites and enjoyed the trip down memory lane! Don't forget to send pics my way of any recipes you try. I love seeing that you guys are enjoying all the good eats. I have been so crazy busy doing guest posts and exclusives for other blogs and Yahoo! and GAC ( I hope you caught all of them, and if not I'll post links to them here too) and I've been so busy traveling around that I haven't gotten to post a recipe directly to you guys in a while. I've missed you to say the least. I've got so many exciting things coming up....First of all, I'll be on my first major tour this year!! Woo Hoo! I am kicking off the Shut Up and Hold On tour as the opening act for my old man, Toby Keith, and Colt Ford in a few short weeks so I'm gearing up for that. We'll be announcing the opportunity to join my meet and greets so check out my tour schedule here and come see me if I'm headed your way! I've been writing like crazy and working on music for my second album (that feels so weird to say). My Daddy Dance With Me video is getting a little burst of excitement again with wedding season and Father's Day coming up, it's almost at 2 million views, which is still mind-blowing to me! I am so grateful to have y'all along for this crazy ride and can't wait to share this summer with you. Now that we've caught up...on with the grub. I leave the skin on and peel after roasting...that is just personal preference! 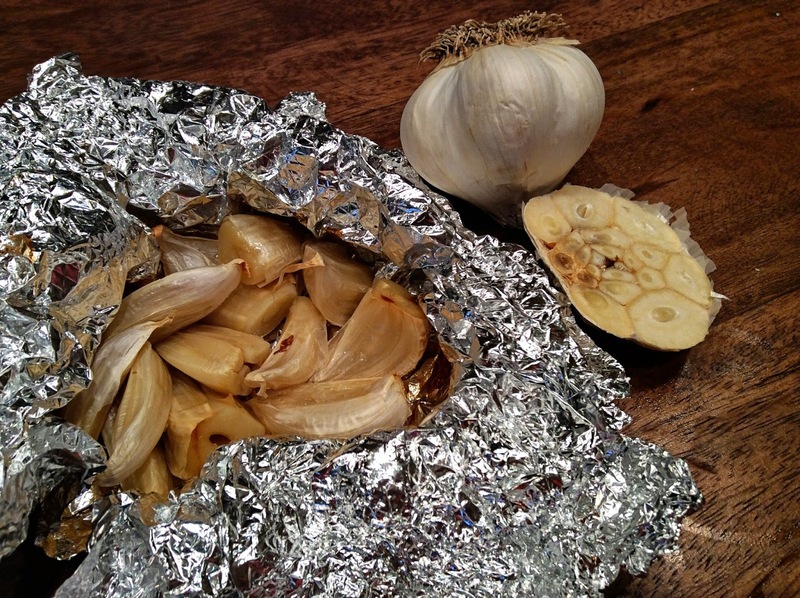 Make a little pouch with foil and place the cloves and ice inside. Bake in the oven for 30 minutes. I always make a double or triple batch of this because I use it on everything! Combine the yeast with the warm water and let it sit for 8-10 minutes. Place flour and salt in the bowl of your stand mixer fitted with the paddle paddle attachment. Turn mixer to the lowest setting and begin pouring in the olive oil in a thin steady stream. Slowly add in the yeast water. Mix in the roasted garlic. Once all ingredients are incorporated well, transfer to a glass bowl sprayed with Pam or lightly oiled, cover and let rise for an hour. Preheat the oven to 375 degrees. 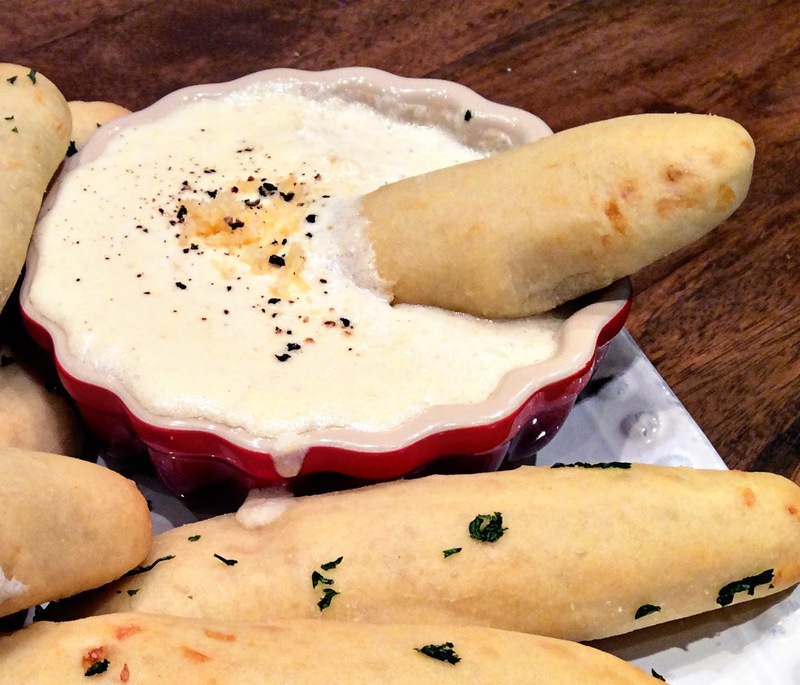 Cut the dough into 6-8 equal pieces, form into sticks and place on a greased baking sheet. Bake for 12-15 minutes or until they begin lightly browning. Garnish with some dried parsley if youw want. 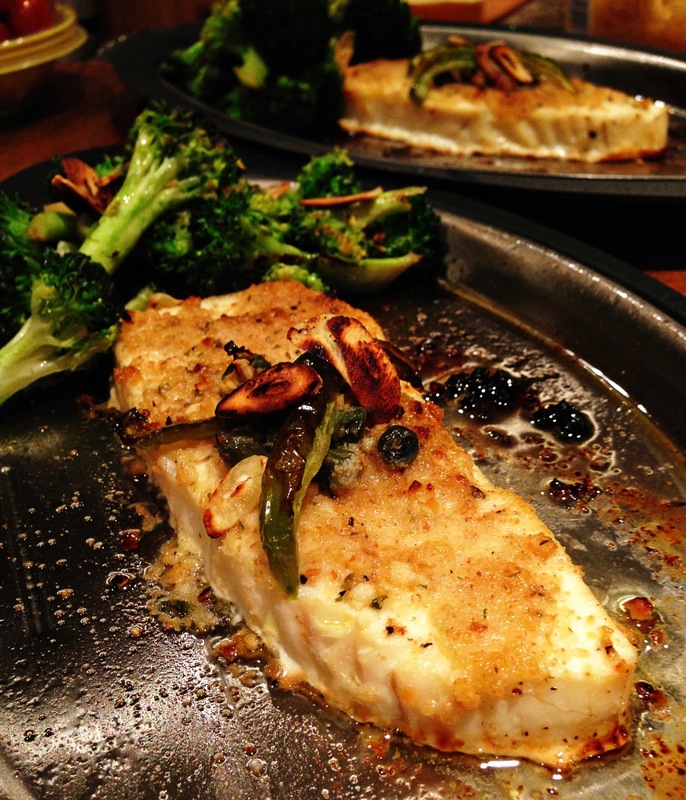 Serve with alfredo dipping sauce below. Melt butter over med/low heat. 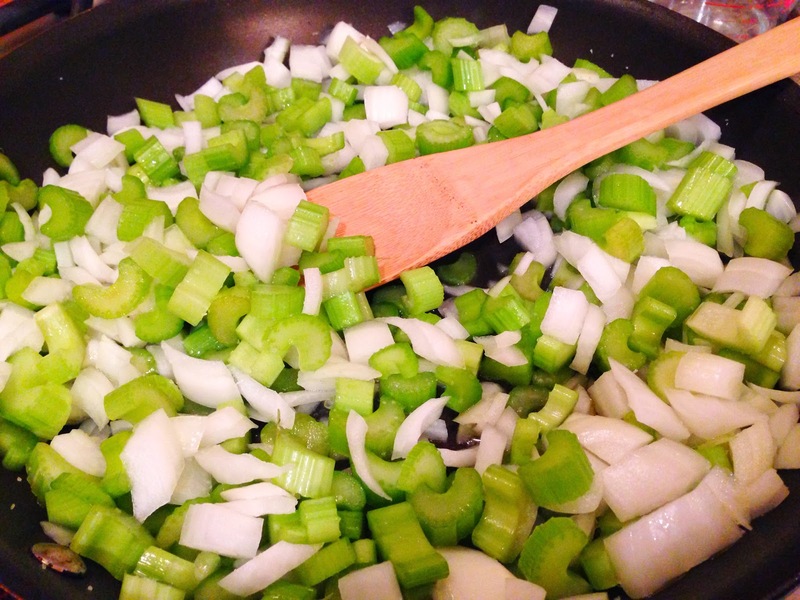 Add in remaining ingredients and bring to a simmer. Simmer until sauce thickens, about 5 minutes. Add more salt and pepper to taste. 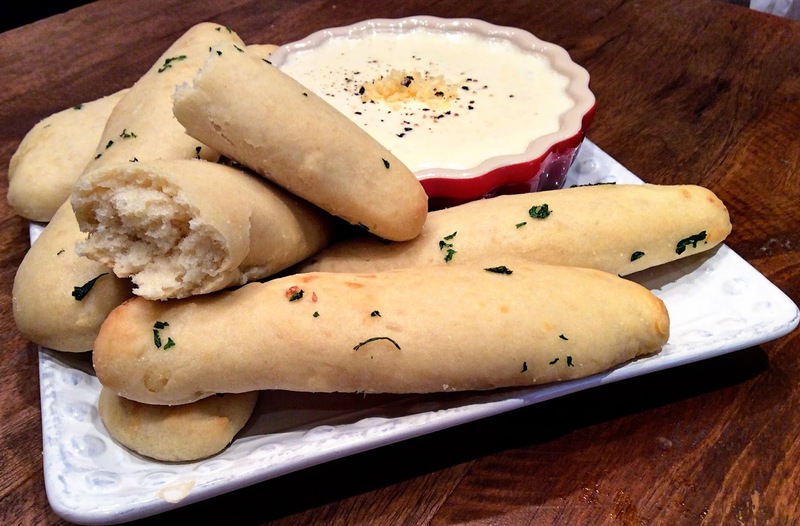 Serve with breadsticks.